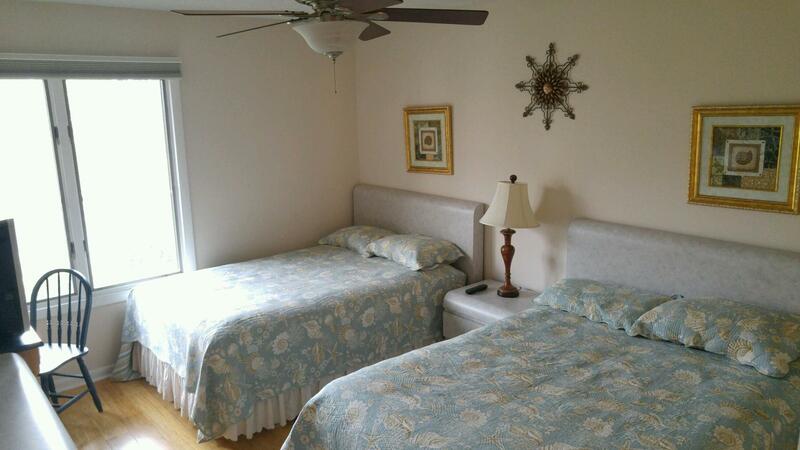 Fenwick Island Vacation Rental – East of the Sun 215 | Fenwick Island Fenwick Island Rentals. Bright and cheerful first floor condo offers 2 bedrooms with 2 baths located in a quiet community with lovely landscaped courtyard. 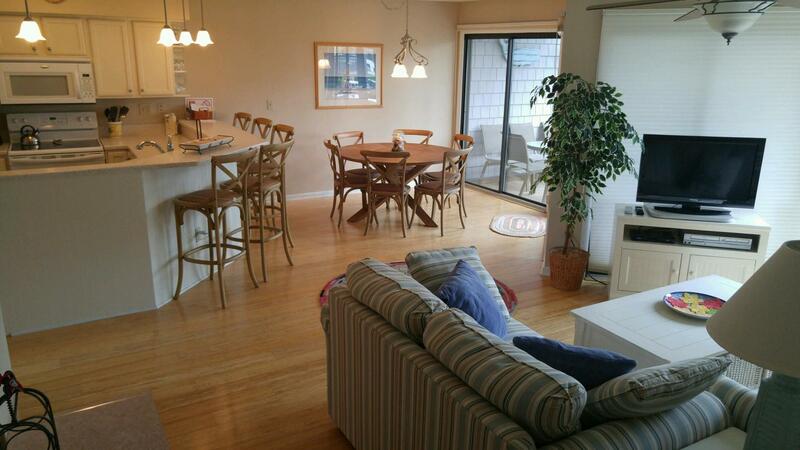 Super location just a short stroll to restaurants, mini golf, Water Park and shopping! 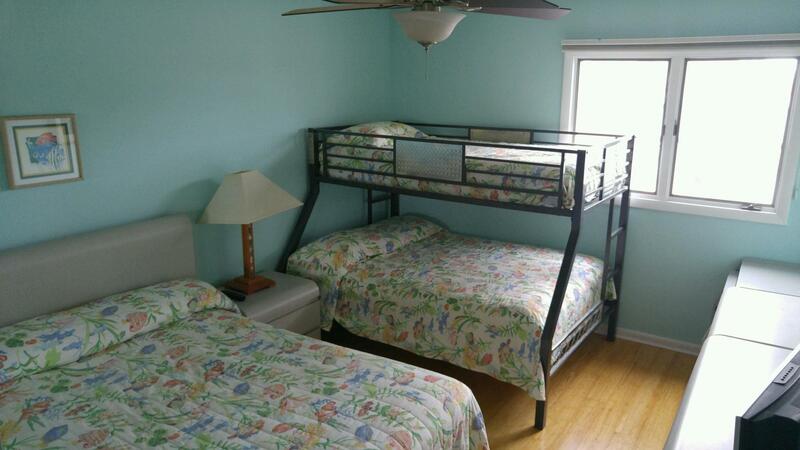 Comfortably furnished and family friendly some amenities include central air conditioning, full kitchen with dishwasher and microwave, 2 TVs, DVD, WiFi, PlayStation, washer/dryer and gas grill. The kids will enjoy the community swimming pool & tennis courts. 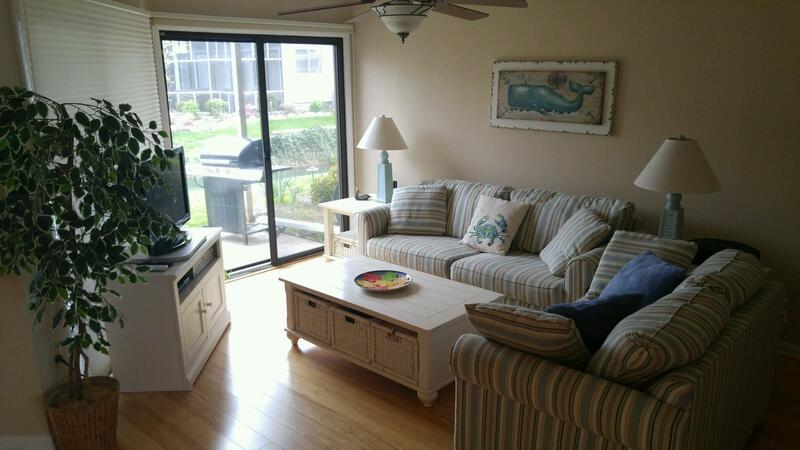 Awesome screened porch to sit and enjoy morning coffee and evening cocktails! New for 2018: All NEW Kitchen Appliances and washer/dryer and NEW flooring!! 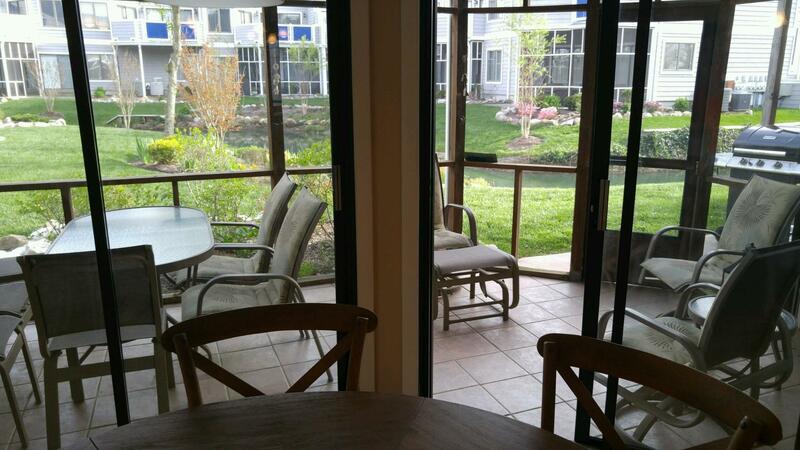 The apartment was very spacious and had a beautiful setting with the pond / water feature and grassy area out back. It was also not too far from the beach and the Fenwick Boardwalk. We would stay here again.